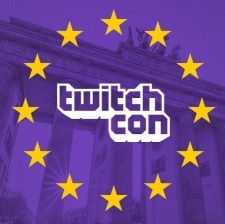 This weekend saw the inaugural TwitchCon Europe take place in Berlin, Germany. Hoards of streamers, fans and industry members flooded the halls of the Berlin CityCube to check out the European port of Twitch's flagship event. TwitchCon will also return to San Diego later in the year. TwitchCon provided a full expo experience for all, which included a number of talks and panels, as well as opportunities for streaming communities to get together. A number of key announcements were also made regarding the Twitch platform. Company CEO Emmett Shear opened the event live onstage with a celebration of Twitch's achievements, alongside some new updates for the reigning broadcasting beast. From today, Twitch will pay its streamers faster than ever before. Partners, affiliates and developers will all be paid just 15 days after the end of the month. Prior to this, eligible creators were waiting up to 45 days to receive their payment. To claim this payout, streamers must have at least $100 of revenue available to be paid out. Earnings won't be paid to the creator unless they hit this threshold. Twitch has also released its Bounty Board feature in the UK, France and Germany. The board allows creators to find sponsorship opportunities and get paid for promoting certain games. According to the platform, over 1500 creators in the US have earned over $2 million via the bounty board system. 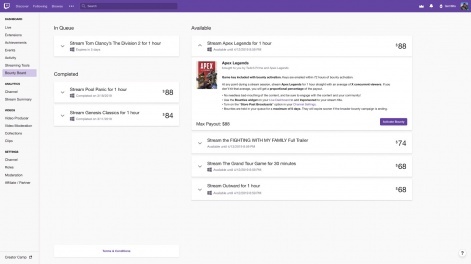 Twitch is working on refining search results on the platform. In the next few months, users will start to see auto-suggestions on keywords, as well as being able to quickly access past searches. Updates to Twitch's search engine will start to roll out in June. The platform is also making changes to its directory. Currently, search results for a category are arranged by the number of current viewers a stream has, from highest to lowest. Soon, users will be able to switch that up in order to see personal recommendations or broadcasts that have recently started. June will also see the unveiling of a new recaps feature. After a stream ends, the tool will automatically generate highlights from it. Streamers can publish them easily or make tweaks if the clip is slightly off target. Twitch Sings is also now available for all. The platform has been trialing a beta of its new karaoke platform with partners for a while. It provides creators with a rich roster of songs to sing, plus the ability to perform duets and get their community involved. Streamers of all sizes can download and play with Twitch Sings.